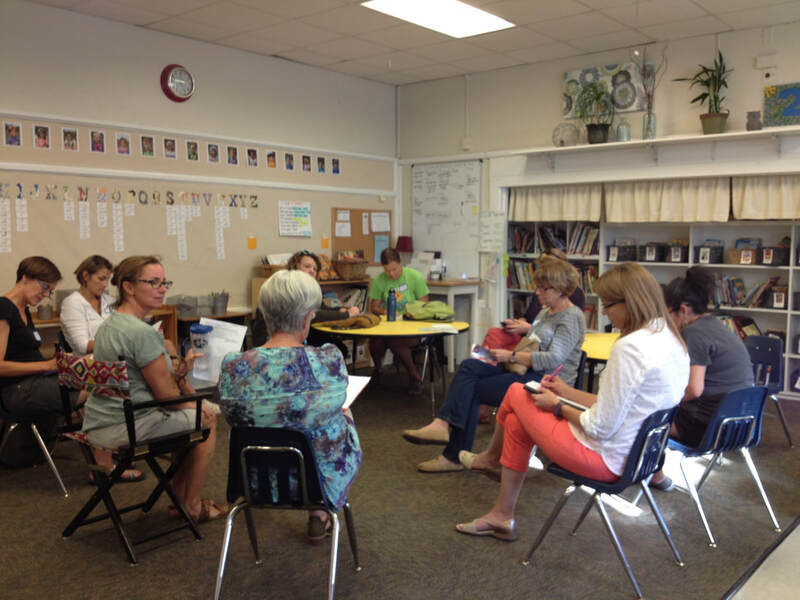 Plan a read aloud designed to center dialogue on race, racism, anti-racism, and racial equity with mentor teachers modeling for apprentice teachers. Observe the mentor teacher read aloud the children's book to a small group of children. Debrief with educators about the lesson, discussing racial literacy strategies and further ideas. To learn more about We Stories and to see racial equity curriculum lessons in-action, check out this HEC-TV video "We Stories: Raising Big Hearted Kids". ​What is the Racial Equity Curriculum Partnership? The Racial Equity Curriculum Partnership builds collaborative relationships between “mentor” and “apprentice” teachers to strengthen and extend racial equity practices. 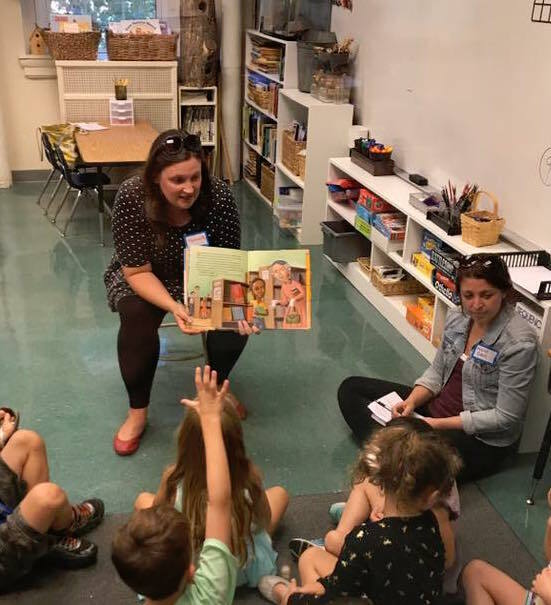 Specifically, the “mentor” and “apprentice” teacher will meet several times over the next year to plan and share interactive read alouds with young children (Early Childhood and PK-4) at a We Stories family gatherings. These gatherings are held at pivotal points in families’ engagement with We Stories and also include other fun elements such as story telling, “un-conferencing” and workshops. We expect “apprentice” teachers will gain experience teaching side-by-side with a mentor teacher. This, in turn, will strengthen the “mentors” leadership and racial equity practices. What are the goals of the RECP? The goal of Racial Equity Curriculum Partnership is to strengthen racial equity practices amongst educators in the St. Louis area by creating partnerships between teachers. This project is a collaboration of Educators for Social Justice and We Stories. We Stories is a local non-profit organization that uses children’s literature to help families and family serving-organizations start and strengthen conversations about race and racism. They currently support nearly 500 families across the St. Louis region with an additional 500 who have expressed interest in joining. We realized that by working together we could connect and support teachers who are “raising their hands” to strengthen their commitment to racial equity. What is the difference between a Mentor and an Apprentice? “Mentors” have experience (professional and personal) in using diverse children’s literature to facilitate robust conversations about racial equity and intersecting issues such as language, nationality, gender, ability, and/or sexual orientation. It is OK if your experience is with older children or adults! It is also OK if you have only been teaching for a few years but feel confident in your racial literacy practices. “Apprentices” want to build the language, strategies, and skills for facilitating inquiry and dialogue around racial equity issues in their classroom. It is OK if you have many years of experience and want to take a deeper dive with your racial literacy practices. The “mentor” and “apprentice” will be matched and notified via email. We Stories and ESJ will inform the partners of the upcoming We Stories events and ask you to commit to attending two events across the year. All “family gatherings” are scheduled on Sunday afternoons. 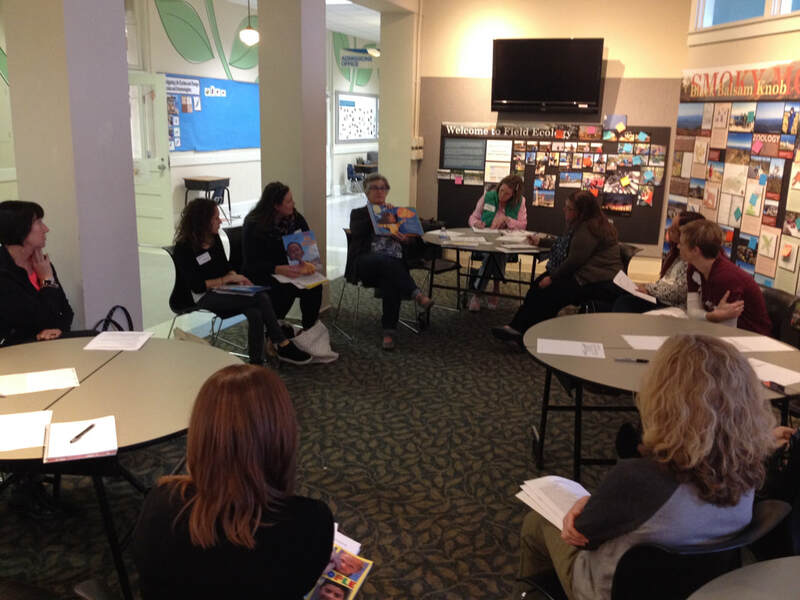 Before that the event, we ask that the curriculum partners meet to design their interactive read aloud. During the “family gathering” we will use an “apprenticeship model” which is a combination of observation, guided practice, and independent practice. After the event, we ask that the partners engage in a debriefing. All of the curriculum partners will be invited to attend a Town Hall style meeting to share their experiences, reflections, and next steps. What kinds of support can be expected from We Stories and ESJ? ​Who can I contact to ask more questions about this Partnership or my role in it? Email esj.stl@gmail.com and Adelaide@westories.org for more information.